Fencing Options for Dogs - Mills Fence Co.
New dog owners need to keep their pup safe by protecting them from the dangers of the world outside of their yard. High-quality fences provide this type of protection, so if you lack a fence, you should install one right away to keep your dog contained in the yard. Get a complimentary estimate from one of the Mills Fence Company expert technicians today. Dogs are inquisitive about their surroundings, especially in new areas. As a result, a new pup may run away just to explore. Unfortunately, they may run into an angry neighbor’s yard, agitate a neighbor’s dog, or even end up in the road in front of a distracted driver. Dogs may also run to chase animals, such as rabbits or squirrels in other yards. Most dogs also enjoy a little adventure to stave away the boredom of sitting in the yard too long. After all, dogs have active minds and need entertainment. Although most dogs enjoy the freedom to run, several breeds are more prone to run away from home than others. For example, according to statistics from Tractive, the Australian shepherd, Labrador retriever, Jack Russell terrier, German shepherd, and most types of Spaniel breeds run away from home around 1–2 times per month, depending on the breed. New dog owners who purchase one of these breeds need to take the proper steps to keep them safely contained while outside. Walking them on a leash effectively stops them from running away but also limits their physical activity. Some dogs may resent being put on a leash, pull hard to escape, or even chew on the leash to break it. Frankly, a good dog deserves a large area where they can run and explore freely without fear of getting injured. The owners should also have the freedom to let their dog outside without worrying about escape. Thankfully, many fence options are available for dog owners who want their pups to have that outdoor freedom. Some dog owners may want to try a shock-based fence to keep their dog from running. However, this option is not a good choice for most dogs. Using these fences requires a lot of training to let the dog know where the invisible barrier is located. Even worse, other animals or people could quickly come into the yard and aggravate the dog. If your dog gets excited enough, they could easily run past the shock barrier and barely notice it. Instead, you should install a real physical fence along your property lines. The type of fence doesn’t matter much, as long as the fence is high enough that the dog cannot jump it. Small and medium dogs typically won’t be able to leap over most fences but larger and stronger dogs could get over some barriers. A 6-foot-high fence like a privacy fence will keep almost any dog in a yard. Dog owners may also want to install barriers around the edges of their fence to keep dogs from digging. These barriers can be as simple as an extension of the fencing into the ground or placement of concrete blocks, chicken wire, or other materials beneath the fence to block the dog’s movement. These barriers keep an intelligent and persistent dog from getting under a fence and taking off. 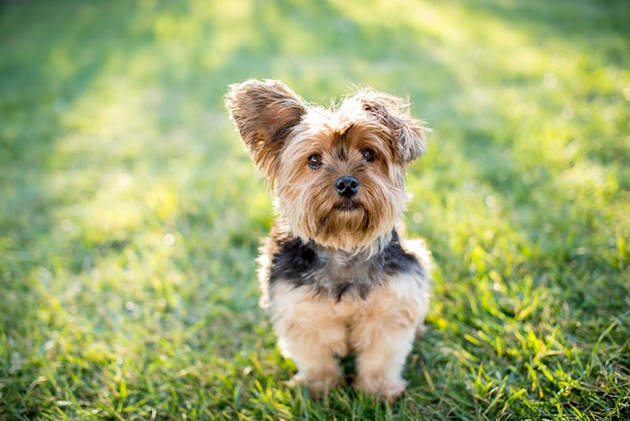 If you just bought a new dog and are worried that they might take off when left alone in the back yard, don’t hesitate to contact us at Mills Fence Company today for an inspection appointment. Our fencing experts will examine your yard and help you find the perfect fencing option for you.